Join us for our first Crochet Night in the Cat Lounge! Are you working on a crochet project and need some help? Or do you just want to meet more people who love crochet as much as you do? Then join us for our first Crochet Night in the Cat Lounge! Nikki Twedell, our wonderful crochet instructor, will be there to help you with your project or answer general questions about crocheting. We only charge our usual cat lounge entry fee of $10 for the crochet night. Spots are limited to 14 people. Click on the ticket link to get your spot! 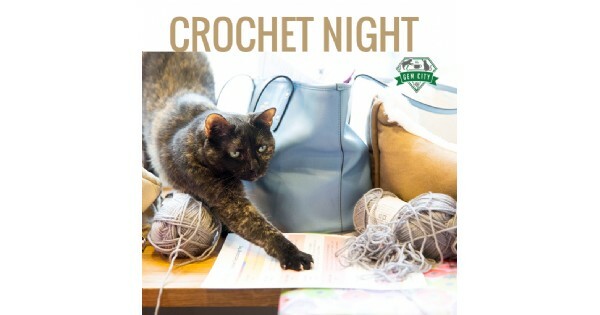 Find more events like "Crochet Night at the Catfe"